Fujairah: The UAE players topped the gold medal tables with 35 golds – the highest ever – in the 7th Fujairah Taekwondo Open Championship held in Fujairah from February 1 to 3. Uzbekistan finished in second place with seven gold while Kazakhstan got six gold medals. 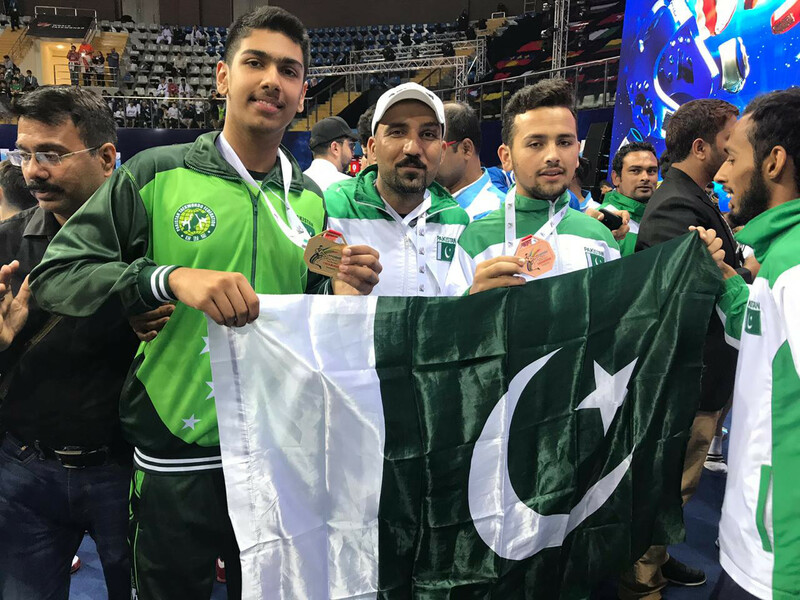 However, players from the Sharjah Sports Club (part of the UAE contingent) outperformed everyone with 15 gold, 10 silver and 17 bronze medals in children, cadet and youth categories. Shaikh Mohammad Bin Hamad Al Sharqi, Fujairah Crown Prince, inaugurated championship which saw participation of 1257 players from 40 countries. It turned out to be the biggest ever international Taekwondo event held in the region. Jordanian Olympic taekwondo gold medalist Ahmad Abougosh mesmerized the audience with his powerful and entertaining fighting skills and won gold after beating Kazakhstan in the final. 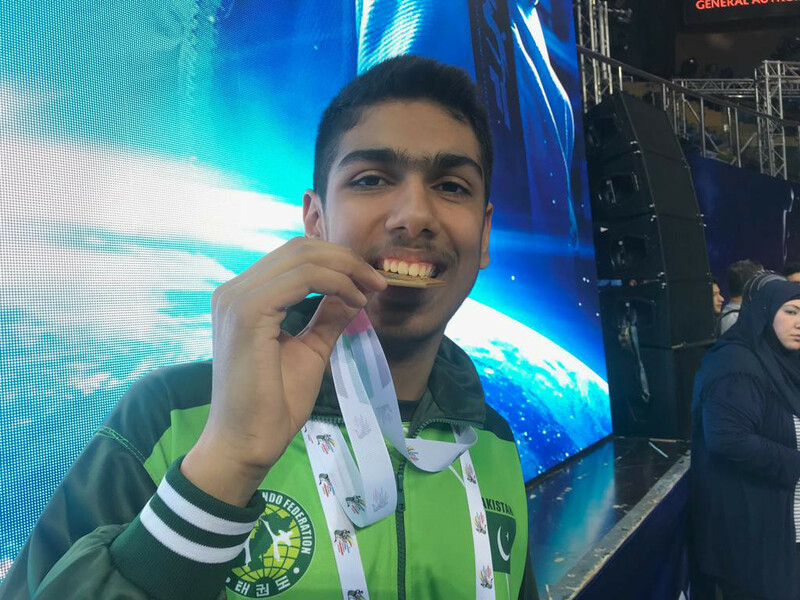 UAE based Pakistani player Sinan Ashfaq Ahmed won gold medal for Pakistan in the cadet category. He beat Egypt in the final after a tough fight. 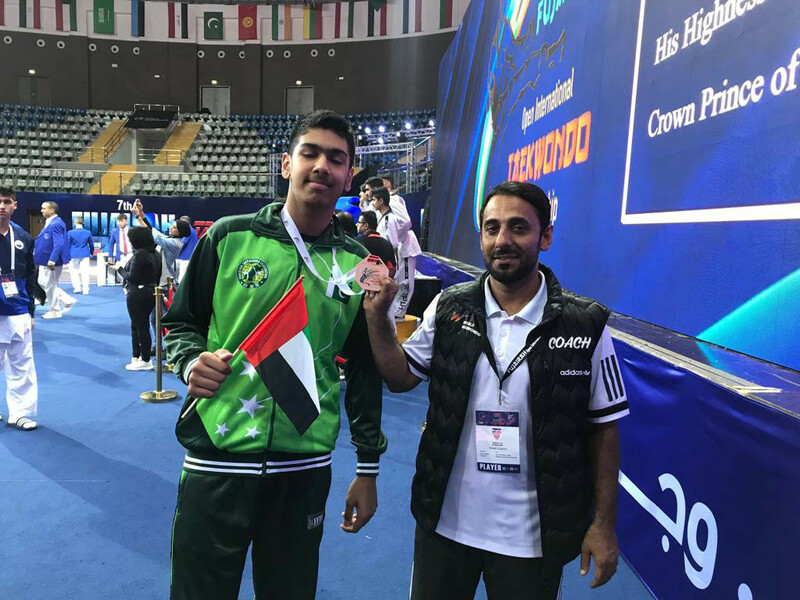 Sinan also trains at the Sharjah Sport Club with Abdullah Hatim, Head Coach of the UAE’s National Taekwondo team and technical director at the Sharjah Sport Club. Hatim said that UAE players permed very well and hoped that they would continue to win at the international level. “Taekwondo is growing fast in the UAE and our players have already started to make mark at the international level,” he noted. Ahmad Hamdan Al Zayoudi, President of the UAE Taekwondo Federation, said thanked the Fujairah Crown Prince for patronizing the sport in the UAE. “Such international events have helped our players grow their skills and compete at the international level. We are happy that our players have performed very well,” he added.